A. We accept most PPO insurance plans including Medicaid. Call us with your insurance information. We would be happy to contact your insurance and go over your benefits with you at no charge! Q. Can I get my teeth cleaned? A. Yes! We will get you in with our friendly and caring hygienist to go over your oral health needs! Q. Do you see kids? A. Yes, our hygienist and assistants are great with kids. Q. Do you have Invisalign? A. Yes, the doctor is a certified Invisalign provider. Q. Do you treat snoring? A. Yes. We offer a comfortable sleep appliance to treat snoring. Q. Do you have payment plans? A. We offer outside financing plans, such as Care Credit, often without interest plus a reasonable in office plan. Q. Do you restore implants? A. Yes! Once the implant is placed we restore it with everything needed to replace the tooth. Q. Do you take out wisdom teeth? A. Yes! We can extract most wisdom teeth here in our office. Q. Do you have sedation? A. Yes, we offer Nitrous Oxide for patient comfort. We can even pre-medicate with sedation medicine if needed after the medical history is reviewed. Q. Can I get veneers? A. 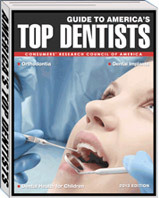 Yes, the doctor has had extensive continuing education in cosmetic smile designs. Q. Do you do smile makeovers? A. Yes! We love giving people the smile they aren’t afraid to show off! Q. Can I get my kid sealants? A. Yes! Anyone can get sealants to help prevent decay and keep back teeth healthy and cavity-free! Q. Do you do root canals? A. Yes! Most root canals are performed here with rotary instrumentation which means less chair time for the patient. Q. Do you have tooth-colored fillings? A. Yes! We recommend composite fillings for all of our patients, it is a longer lasting and better looking alternative to old amalgam or silver fillings. A. Yes we offer Zoom! in office whitening, it’s a two-hour appointment and the average patient will leave with a smile 6-8 shades whiter (every person is different and results will vary)! We also have a take-home whitening kit available with custom whitening trays. Q. Do you make night guards? A. We offer two different types of occlusal “night” guards to protect your teeth from grinding and clenching while you sleep. Q. Do you treat gum disease? A. We do treat gum disease at our office. Our hygienist and doctor are committed to fighting periodontal disease, and helping patients stay healthy. For highly skilled general, family and cosmetic dental care plus Invisalign, trust Erik Johnson, DMD, in Butte, MT. Call 406.494.9300 for more information or simply use our convenient online Request An Appointment form. Dr. Erik H. Johnson is a highly skilled dentist who has practiced dentistry in Butte, MT since 2009 and provides exceptional one-on-one patient care that includes bridges, crowns, veneers, implant restorations, dentures and partials, teeth whitening, nonsurgical gum care, root canals, reconstructions and extractions. Located in South West Montana, Erik H. Johnson, DMD, PC, provides general, family and cosmetic dentistry to the communities of Whitehall, Boulder, Twin Bridges, Sheridan, Dillon, Melrose, Wise River, Wisdom, Anaconda, Phillipsburg, Opportunity, Warm Springs and Deer Lodge. Copyright © 2019 Practice Builders and Erik H. Johnson, DMD, PC. All rights reserved.